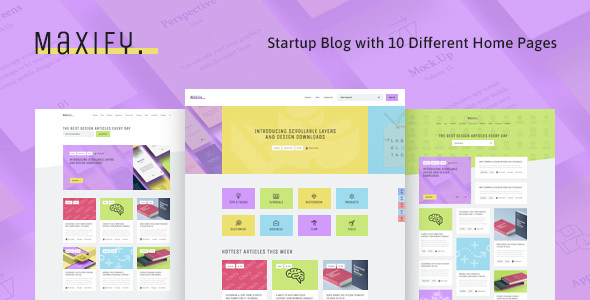 Maxify is a clean and modern Business Blog and Startup Magazine WordPress Theme. It is perfect for startup, web agency, company, contemporary firm and business. Also, it is great for personal and corporate blog and news magazine. Furthermore, it works for inspirational stories, affiliate, minimal, media, freelance, news jacking, instructional, cheat sheet, entertaining & gaming. Above all it suits tutorial, industry, current events, checklists, listicles, infographics, case studies, profiles, interviews, expert opinions, reviews, comparisons, parody, funny, quizzes, surveys and polls, local, FAQs. Maxify offers a lot of handy functions. For example, scroll-to-topfunctionality; it supports a number of diverse blog layouts and has extra fast page load. 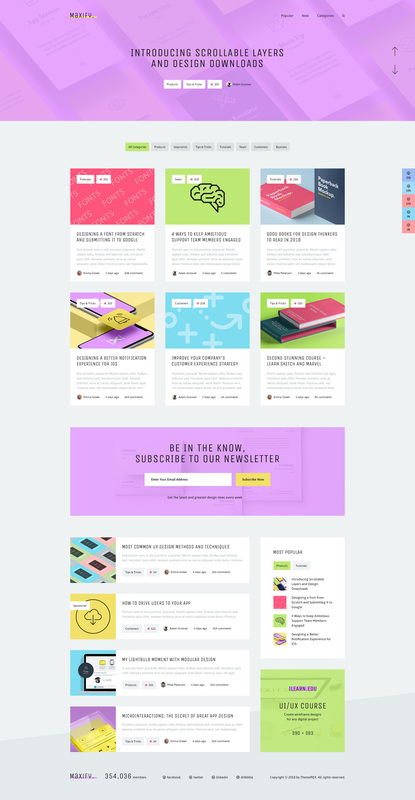 Moreover Maxify has plenty of premade homepages, modules, shortcodes that can be used in your future project.